Despite its large appearance, you’ll want to use as much focal length as you can for moon shots. 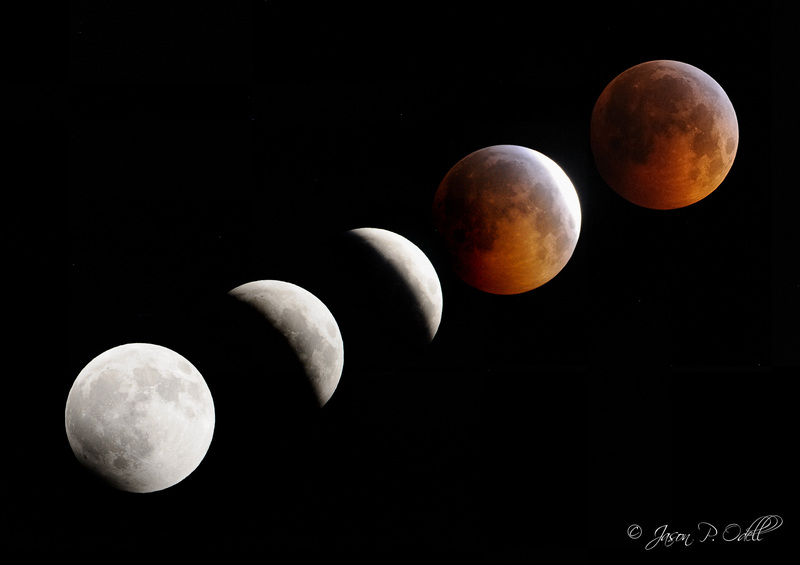 During the 2010 lunar eclipse, I used a 600mm lens with a 1.4x teleconverter on a full-frame Nikon D700. If you have a crop-sensor (APS-C or similar), you can get away with a shorter lens. But even with an effective focal length of 850mm, the moon still only fills a fraction of the camera frame. Even with my 600mm lens and 1.4x teleconverter, the moon doesn’t take up that much of the frame with a 35mm-format camera. The full moon is normally very bright, and unless you use spot-metering, your camera’s meter will be fooled by the dark sky surrounding it. Use spot-metering and manual exposure so that you don’t over-expose the moon. 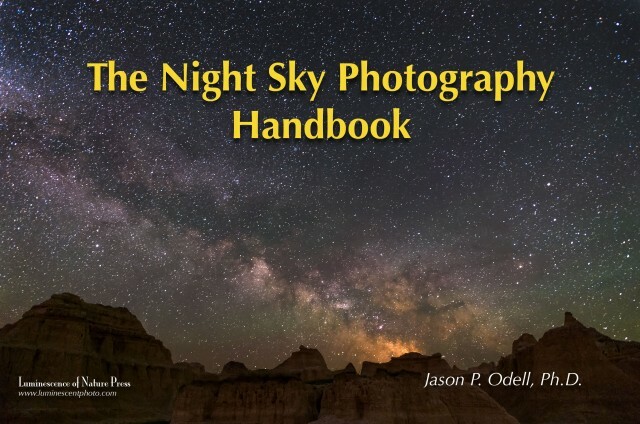 You’ll find lots of tips in my Night Sky Photography Handbook. The relative motion of the moon in the sky is really quite fast. This motion is amplified when you use high-magnification telephoto lenses. In fact, you will need to frequently adjust your composition when tracking the moon across the night sky. To get a sharp shot, use a tripod, remote release cord, and a reasonably fast shutter speed when possible. The moon darkens during an eclipse. 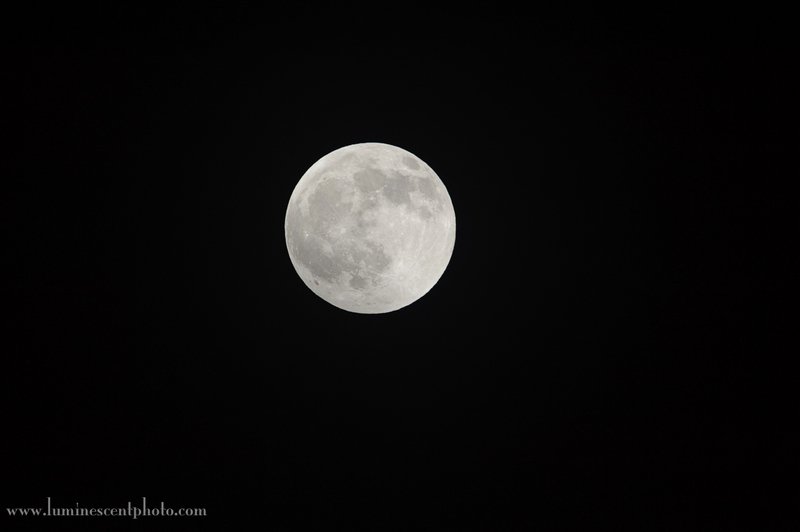 During a normal full moon, I can easily shoot 1/1000s at ISO 200. 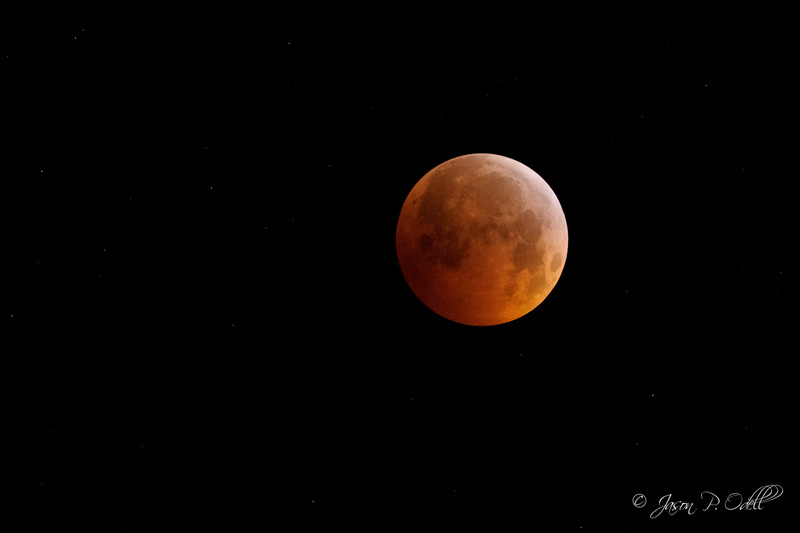 But during the 2010 eclipse, I had to crank up the ISO to 8000 just to get a 1/8 second exposure. Anything slower than that and the moon would have blurred due to its apparent motion in the sky. During a total lunar eclipse, the moon gets really dim. To capture this shot, I had to boost the ISO to 8000 just to get a 1/8 sec exposure! If you have a camera with an intervalometer, you can set it up with a normal to wide focal length and capture images every few minutes. Again, use manual exposure so that you don’t overexpose the shot. You can then merge the files in Photoshop layers to create a composite image. Set up a wider shot and use an intervalometer to capture photos every 5-10 minutes over the course of the evening and create a composite in Photoshop. You did not mention f stop and exposure compensation in your suggestions for Lunar Shoot? Aperture settings will depend on your lens, but I generally shoot at f/5.6 or f/8. You can get a more in-depth discussion by viewing my YouTube presentation here.